December | 2015 | Why Be Tonto? Slow Dynamite. Don’t Look Now But You’re Sitting on a Stick of It. 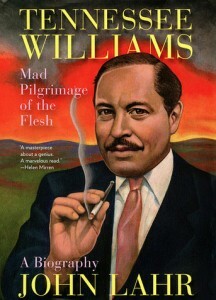 Tennessee Williams wrote 34 plays, Sweet Bird of Youth being one of them. Slow dynamite is the way Tennessee Williams characterized the ravages of time. It’s a gradual explosion that changes everything. The expression comes from his play, Sweet Bird of Youth. As slow dynamite applies to marketing, how are you coping? How are you dealing with changes over time? It’s a fair question as many agree, change is the biggest challenge we face today. That’s change in consumer attitudes and the way brands are seen. It’s the way people view social media and the intrusions that have come with online messaging. As to the last, we’re thinking of pre-rolls, page take-overs, pop-ups and ads that pursue you around the Web. Little wonder ad blocking is seen as a new form of self-defense. 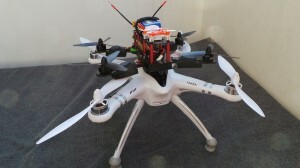 There’s also change in technology, the marketplace and development of new products. There’s change in the way your competitors operate. More to that, change can extend to old companies that suddenly get re-energized or merge to become a threat to your sales efforts. American Airlines, General Motors and now maybe Kodak fall into that category. It includes overseas companies that come to America to take brand share as well as start-ups like Uber and Airbnb that emerge to change the economic landscape. It’s all part of dynamite that doesn’t seem so slow these days. Moore’s Law is one reason why. But for too many people — those in management, marketing and sales — change is little more than an academic issue. They talk about it; they put the idea of it on a pedestal. But they live in the comfort of routine. Could that be an inescapable human trait? That was a question a TED Talk speaker asked his audience recently. One thing’s pretty clear, as security feels better than risk many people do things by habit. It’s easy to slot in to convention and uniformity as you operate under the illusion you’re forging ahead. number of routines you have. He could have a point there. Maybe he should expand on it in a TED Talk. After all, when you give yourself over to habit you may miss the way consumer thinking and competitor efforts are changing. The world can pass you by. In that situation slow dynamite isn’t the worry. It’s fast dynamite that’s the challenge. Just the Thing for Marketers. Poetry. When he first came to America the name Dylan was mostly unknown. So Dylan Thomas coached the press on the pronunciation with the line, It’s Dylan as in Penicillin. 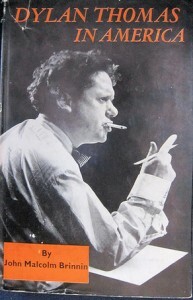 When the celebrated Welsh poet Dylan Thomas came to the United States in 1953 he was met at the airport by the press. They mobbed him and wanted to know if he’d written new poems. He said yes he had some recent ones. As he was swept out of the airport on a tide of photographers, blinding flash bulbs and badgering reporters he said he also had written some decent ones. and some recent decent ones’. The press broke up laughing. They were delighted with the answer. The impromptu performance surprised them. Surprise value also serves marketers well when communicating with a target audience. You could say it’s the most important thing about commercial messaging. That and the fact that brands should always be presented anew. Saying or showing something surprising, new and unexpected is what stops people and extends attention spans. It makes it easier for a brand to compete. Put another way, it helps you become a real problem for your competition. Southwest Airlines has a handle on that. Remember the line, ‘Ding. You are now free to move about the country’. There’s bags of character in that. It’s both surprising and unexpected. It’s the opposite of the ‘try-hard thing’ which gives it surprise value. Of course, Southwest is still at it with funny flight attendant announcements and safety briefings that are near enough sidesplitting. You’ve seen them. And no doubt you laughed. Why bother to create work like this, why go the surprising route at all? As Dylan Thomas would have told you, you have to give people something if you want them to remember you.